A visit to Samvado's off the beaten track wood, stone and metal studio on the Lizard is highly recommended. Samvado is passionate about his work and it shows in the beauty of his unique creations, all of which are either made from fallen trees found on the Lizard or Granite and Serpentine rock picked from the land on a neighbouring farm. Luckily the farm is blessed with a vein of Serpentine rock passing through it so the artist is able to sculpt rock from literally on his doorstep. Samvado's work tells the story of the growing tree which is all written in the grain of the wood and similarly for stone, his sculptures highlight the former liquidity of the Serpentine metamorphic rock. I first came across his work at Trelissick Gallery on the National Trust owned estate near Falmouth. There I was mesmerized by a yard of books, all sculpted in different colours of Serpentine, from apple green to salmon pink hues. Similarly at a recent local craft fair, I witnessed his slices of oak wood (turned into story books), captivating the hearts of children and adults alike. Samvado visitors are welcome at Wood Studio on the Lizard, Cornwall for a feast of work for house and garden, hundreds of pieces for sale, or you may commission your own. A warm welcome awaits you at this unique venue that can be combined with a short walk through Samvado's sculpture garden to see the herd of Cornish Camels grazing on the neighbouring farm! For further information please visit http://www.samvadosculpturecornwall.co.uk/ or call 01326 231 783. 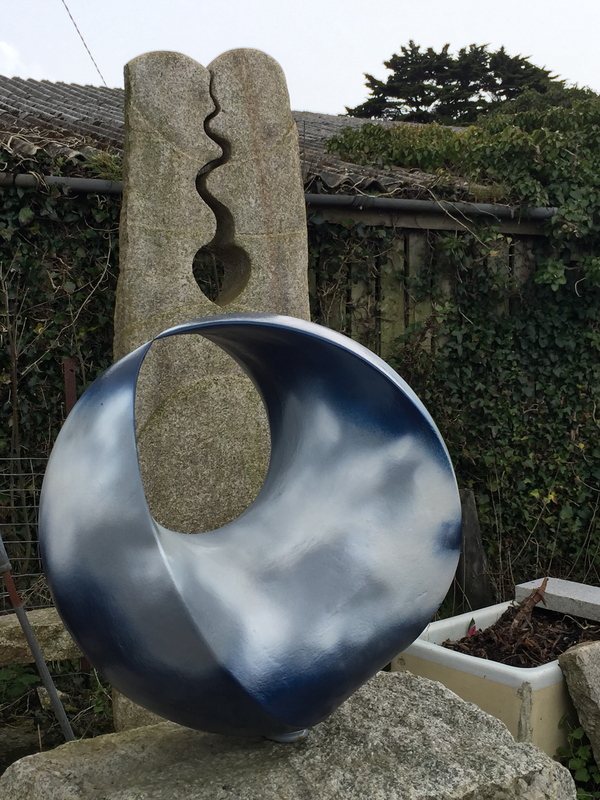 The Wood Studio, Rosuick Farm, St Martin, Helston, Cornwall, TR12 6DZ. Open most days from 10 - 6pm. The studio is located about half a mile from Goonhilly Downs. Samvado & Susie Breeze (a wonderful pyro artist who compliments Samvado by illustrating & writing on some of his woodwork) will be at Lizard point Polpeor studio, weekend of 28th and 29th May 2016 making and showing their art from nature. Called The Pan Project, Ian who runs the charity, has use of the small building next to the cafe right down on Lizard point. It offers space to nature artists to connect people with the natural world through their art. There are artists in residence throughout the summer. Visitors can meet the artists, view the work on display and purchase any piece that captures the moment for them. Writing & photography by Alison McGregor, Lizard Peninsula Holiday Cottages.